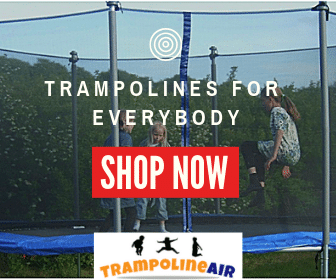 If you’ve been playing with your trampoline or considering investing in one, you’ve probably seen a lot of neat trampoline tricks on YouTube. 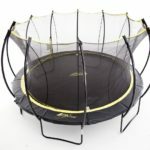 Similar to skateboard stunts or parkour, trampolines are a popular place to try out neat tricks because they allow you to remove gravity from the equation, even if just for a few seconds. Some of the tricks you see may look difficult, and they may very well be. You may not be able to do amazing stunts without practice, but after you’ve worked at some basic tricks to strengthen your skills, you may find that you’re able to do some really neat things. You may even develop some stunts of your own to record and share with the world. 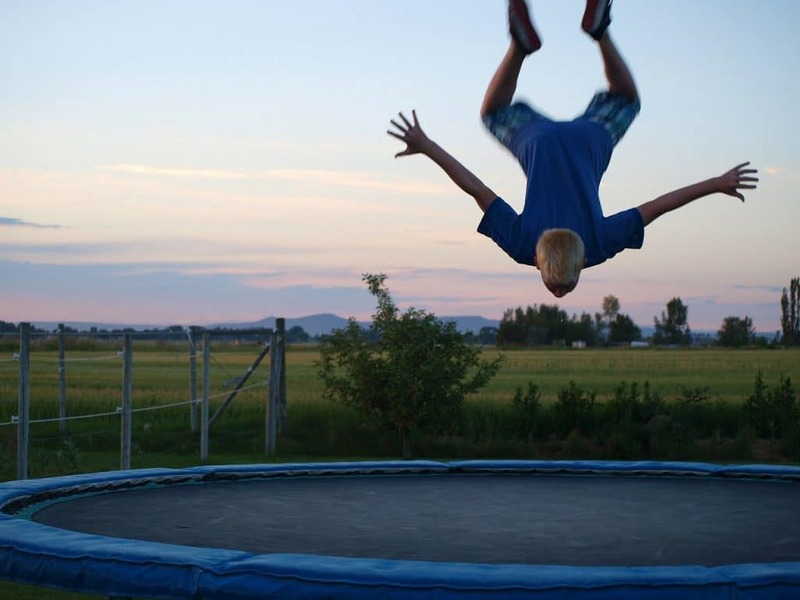 Before you attempt to execute tricks on a trampoline, you need to make sure you’re doing so safely. 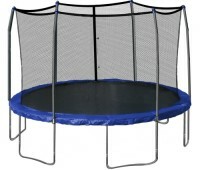 This includes having your trampoline in the proper working order, and setting up some safeguards to help prevent injury. All tricks involve some sort of physical risk, you should never attempt a trick if you don’t feel comfortable. 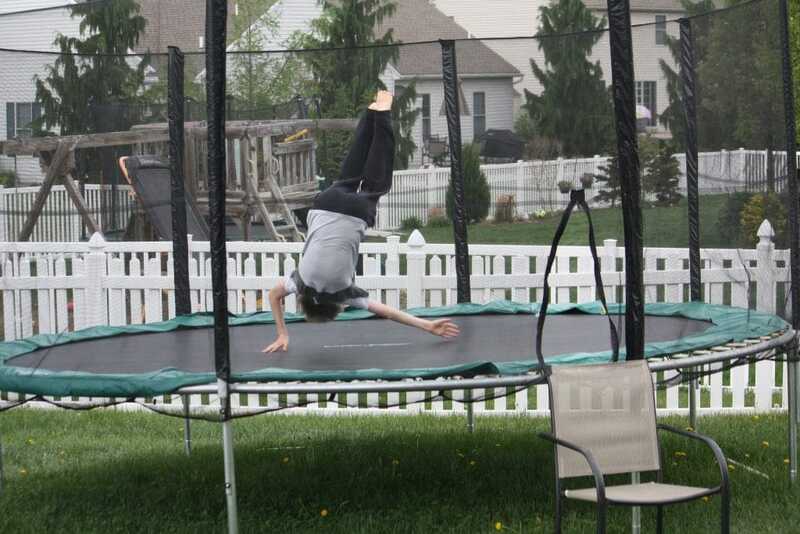 Never do tricks on a trampoline that isn’t fitted with a secure, properly working safety enclosure. Make sure none of the fabric of your enclosure has frayed, that it’s properly fitted to the posts, and it’s properly closed. 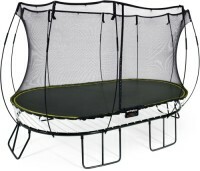 Make sure your trampoline is sitting on level ground, away from any obstacles. 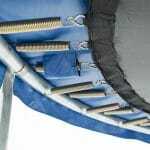 Remember to check your springs to make sure they’re all in working condition, and to verify that your spring guard pad is tied into place. 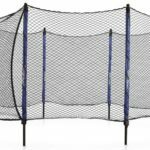 Always inspect the jump surface for holes, and remove any debris or toys from the trampoline before you try to perform tricks. 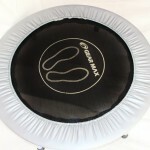 When on the trampoline, remove your shoes or wear shoes that have been designed for use with trampolines. Be cautious of glasses and eyewear. Remove objects from your pocket, especially if they are sharp objects, such as keys or pocket knives. 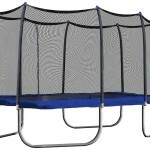 You can maximize your safety by wearing elbow pads, knee pads, and a helmet to help protect yourself in the event that you fall off of the trampoline. 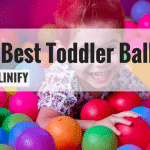 The easiest trick to start with is the double bounce. A double bounce requires two jumpers. 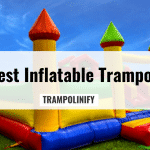 Make sure both users are within the total weight limit of the trampoline before attempting to double bounce. The trick is performed when two jumpers alternate. As one jumper rises, the other one lands. It gives the appearance that both jumpers have created a perpetual motion, where the impact of a landing starts the next jump. This one is relatively safe and easy, as all it requires is two jumpers and good timing. Make sure you’re standing far enough apart from the other jumper in order to prevent injury by collision. For one bouncer at a time, there’s always the 360. A 360 is a complete spin performed in midair before the jumper lands back down on the jump pad. In order to successfully spin around, the jumper may find it most helpful to keep their body in line, first rotating their shoulders and then spinning their feet to create a fluid, full rotation. Once you’ve mastered the 360, you may want to try the 720. The 720 is two full rotations in midair. This requires more core strength and the usage of the jumper’s arms. Starting on the jump pad, you’ll want to build up a big bounce. Lift off of the jump pad sideways from where you originally started. 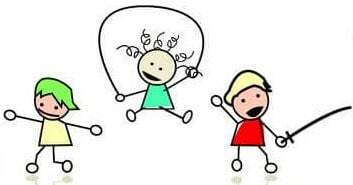 Once you become airborne, place your hands in front of your body and swing them around with your spin, allowing them to come back to your chest. Your arms will create additional momentum that will intensify your spin. Once you’ve determined the amount of momentum you need, you’ll be able to graduate from a 360 to a 720 spin. As long as you’re holding your body straight and keeping your stance level to the ground, you’ll be less likely to spin out of control and fall horizontally. You’ll need to find your center of gravity in order to master any spin, but a 720 is the most difficult. If you’re ready to graduate from spins, you may want to start learning flips. Flips are difficult to master, and you may need to practice lifting your legs during regular jumps. If you can eventually raise your knees up near your chest while in midair, bringing them back down to land vertically without falling over, you’re probably ready to attempt flips. For a front flip, a jumper will get good momentum from a large bounce. As soon as you leave the jump pad, put your arms in front of you and allow your feet to come up behind you. You may find it easier to execute a front flip if you jump off of the pad with the front of your foot, rather than using the whole sole or the ball of the foot. This momentum will propel you forward, allowing you to lift your legs behind you more efficiently. Never attempt a trick that makes you feel uncomfortable. 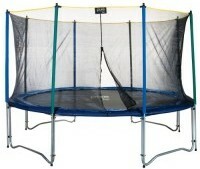 Make sure you have a good sense of how you interact with your trampoline before you attempt anything crazy. Preventing injury is of the utmost importance, and if you aren’t confident enough to pull off something as bold as a flip, wait until you feel ready.